Looking for a best way to promote most popular attributes of your products? The module will let you to create pricing tables for most popular product combinations. Display product combinations as pricing tables. Allow customers to add product combinations to cart with single click. Display pricing tables in any page and any location including CMS or custom pages. Automatically hide out of stock pricing tables. Easily change all styles from module configuration page (No coding required). 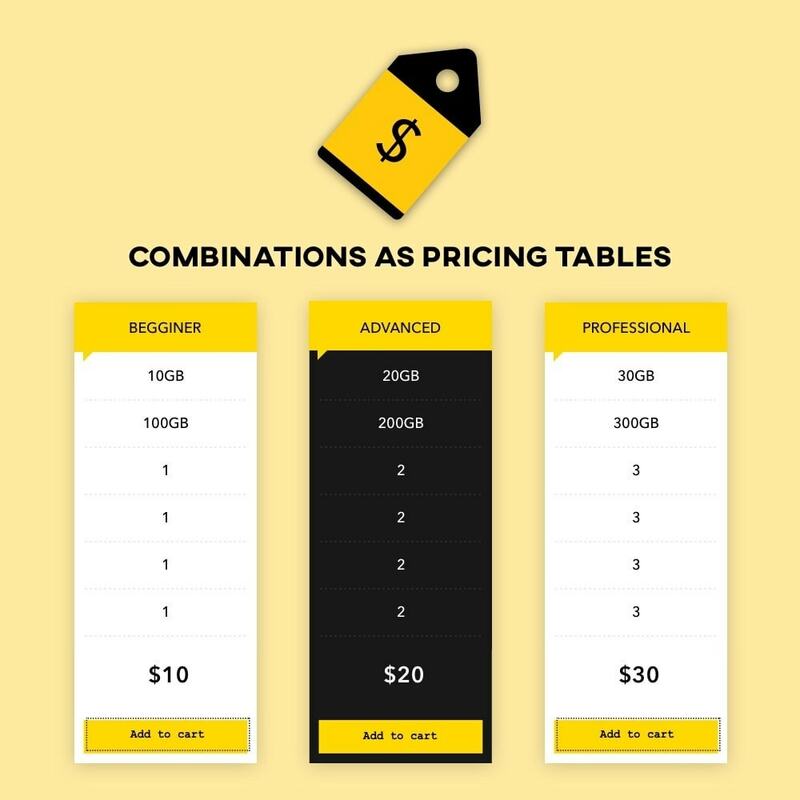 Create carousel of pricing tables.